Life, itself, is a miracle, an impossible occurrence that nevertheless is true. After that, can it really be unreasonable to pray for peace, for love, for a better world? 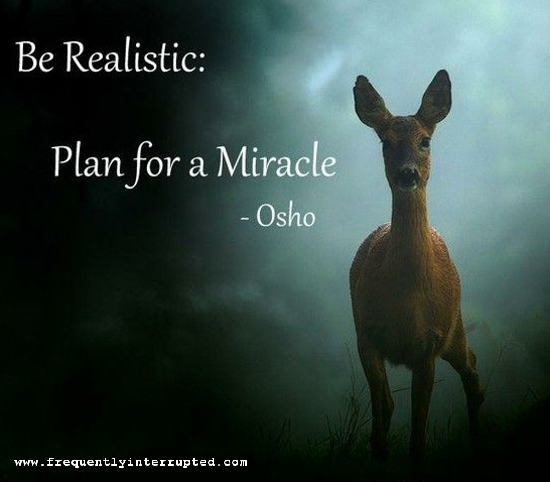 If one miracle is realistic, let's try for more.